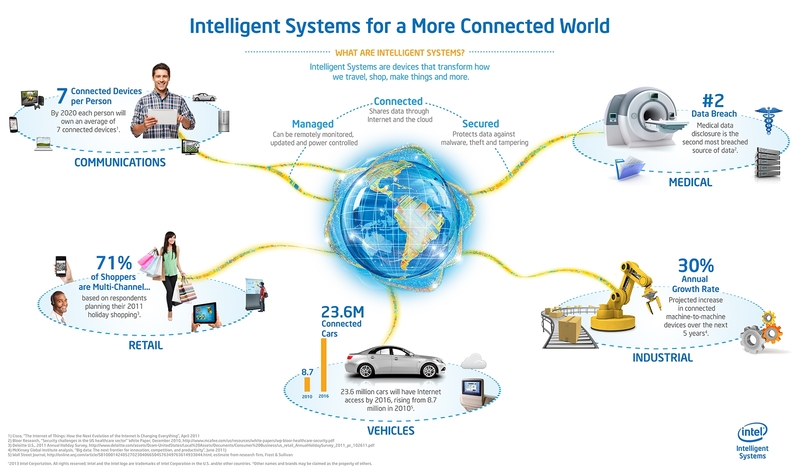 Did you ever wonder that you have been a part of Internet of Things, already? To answer that, start with checking yourself. If you possess an activity tracker or a FitBit band that often chatters with your phone, you have. If you have an alarm system that can be controlled with your phone, you have. One might interpret my way of explaining Internet of Things as a perturbation caused by the coolness level. On a serious note, I’m going to concentrate on the fact that Internet of Things is going to be much more than mere phenomena that have the capability of changing business right from the fundamentals. If you have a glance at the newfangled world, you can observe yourself how Adoption of Internet of Things technology for Business has been done at major levels. We can’t neglect the fact that Internet of Things has the possibility of changing the business model for some types of business. For example, let’s discuss John Deere (deere.com). The organization has sold tractors throughout the first half of 21st decade. These tractors were solely dedicated to farming purposes. However, in 2012, they made a major manufacturing change to the products. They added the feature of data connectivity to the tractors that can give relation information about plants to the farmers. Through this data connectivity, farmers can acquire statistical information like when to plow, where to plow, how to plow, when to plan, where to plan etc. After few months of launching, the data became essential than the product and therefore, a hike in the sales happened. This is just an example. Just like John Deere, other business models will emerge based on the user necessities. Companies like Jawbone, FitBit already started spurting on the strategic information like health stats, habits which interest the customers more than the equipment. This kind of data works well in the marketing field, making the products, covetable. Through Internet of Things, manufacturers started thinking how to make ‘smart’ products rather than focusing on making ‘innovative’ products. Internet of Things is playing a crucial role by providing solitary information which has the ability to change the data selling procedure to the partners and users. With this fundamental tilt, the vision of the world starts changing. Putting it in a nutshell, it’s exactly the way how we evolved from the land phone to the smartphone. Who expected that we will be able to use phones for many things other than making phone calls alone? 90% of the world is carrying this gadget in the pocket. Internet of Things will pass the world with smart roads, smart infrastructure and smart cars. The world, we would love to live in. By the look of it, it might appear that these things are weird, strange and futile, but ain’t the smartphone inessential too, at first? These first forays are actually changing the perception of products like the smart racket, smart yoga mat or a frying pan. I won’t say that every smart product will stick, some of them might not give a dime, the point is they all are contributing towards the smarter manufacturing technology. Till now, we have discussed smart end products and changing business models. However, there is a huge untouched part of Internet of Things that might lead a major change in the business world. Sensors. These tiny little innovations started acting like atoms of chemistry, being attached to every smart product right from baking cups to constructional cement. They usually record, store and send the informational data to the cloud. By getting data from the cloud, businesses can get a clear idea about user feedback including usage, workability, pros and cons, customer-satisfaction and alternatives. Therefore, the products can be altered into something smarter, bigger and better. One major example of this phenomena is Rolls Royce aircraft engine manufacturing procedure. The aircraft engines are installed with sensors which can send functional data of engine to the cloud and other monitoring systems to the ground. The information detects any kind of flaws and helps in avoiding catastrophic accidents, disasters. Data becomes the sole capital. 9-6 jobs in the offices will vanish due to the automatisation and digitalisation. The phantasm of owning things will loose the significance due to the alternative tangible services. As Internet of Things is no more a fiction, but a larger eidolon that has been happening, it’s essential for us to understand the adoption of Internet of Things technology for business.